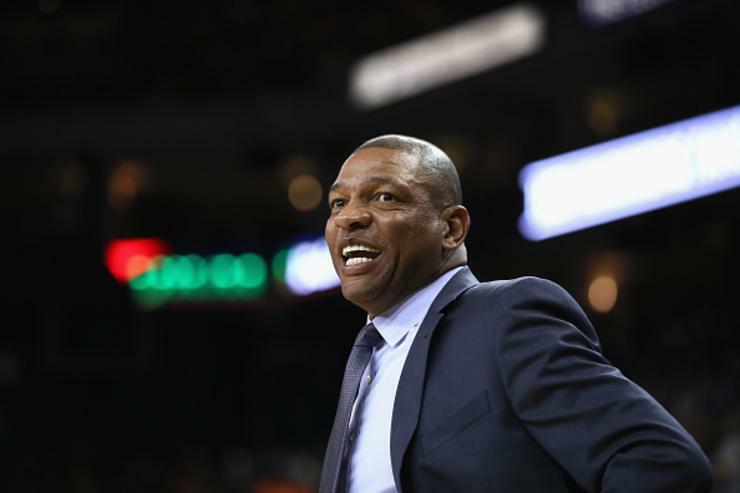 Prior to Monday night's Game 2 at Oracle Arena, Los Angeles Clippers head coach Doc Rivers met with the media, where he discussed everything you'd expect from a pre-game press conference. Additionally, Doc told a story about how he unknowingly dropped "about two grand" on the ground while walking around San Francisco - and only realized when a good samaritan returned it. “Shoutout to the San Francisco person who at the corner today — I was walking down the street, true story,” Rivers said. “Reached into my pocket to grab my phone. Unbeknownst to me, dropped about two grand on the floor — on the street, kept walking, didn’t know it. Rivers said the man took off before he had a chance to hook him up with some free tickets.